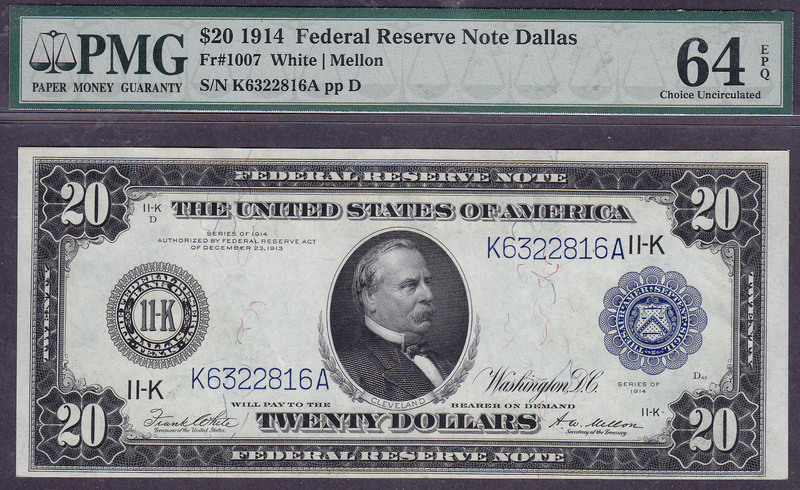 A special 1914 $20 Dallas FRN. Ser # K6322816A. Graded as a serious PMG-64EPQ. This is one of the finer Dallas notes available for this FR #. 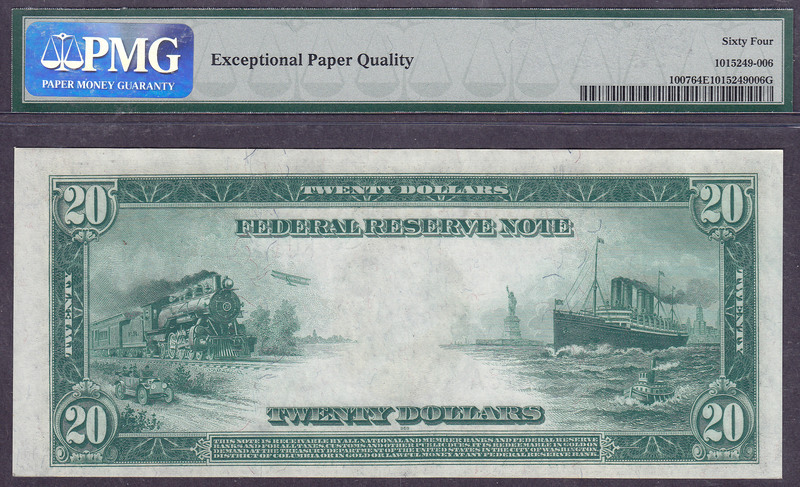 If youve ever considered putting a set together in UNCs, you wont find a better deal on a Dallas note in this FR number anywhere on the internet. Try finding a better one! Check the large scans on this note and you will fall in love with it. Dallas notes ROCK!!!! If you are having trouble viewing the images above, please install the Active X control (Adobe Flash Player) that pops down from the URL bar in your browser.